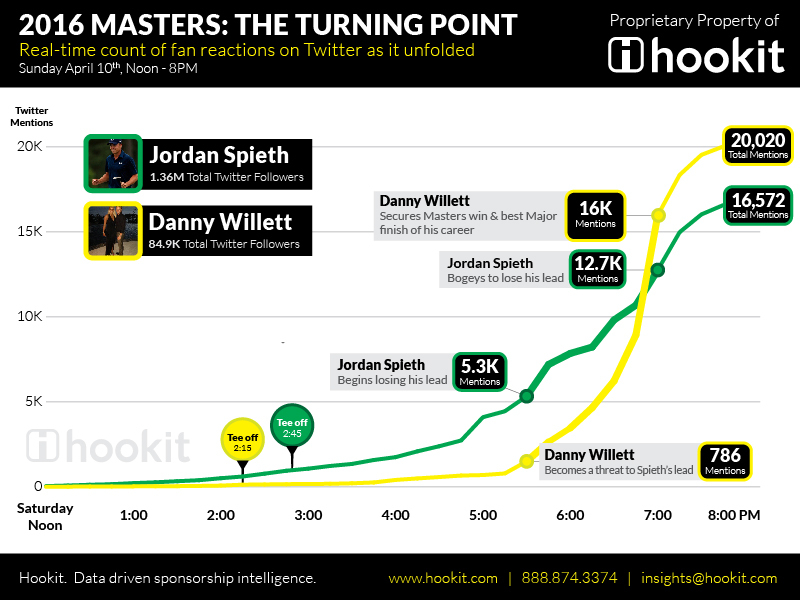 Here at Hookit we have a few Golfers in the office so it was no surprise that when it came to the 2016 Masters we not only had our eyes on the course but also on the social media activity surrounding the tournament. When we saw the historic rise and fall of Danny Willett and Jordan Spieth on Sunday we knew there would be a significant reaction from fans all across social media. We took a closer look at exactly how much fans on Twitter were talking about the two golfers, the final mention count was very surprising.